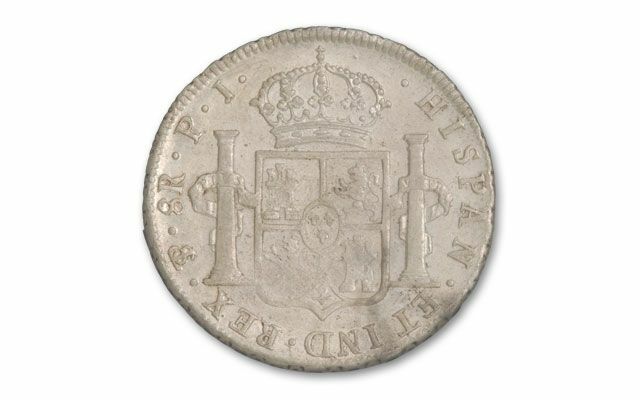 The Spanish 8 Reales was considered the workhorse silver dollar of early America. This coin became so trusted that it circulated in parts of the U.S. through the 1870's even though Congress pulled its legal tender status in 1857. 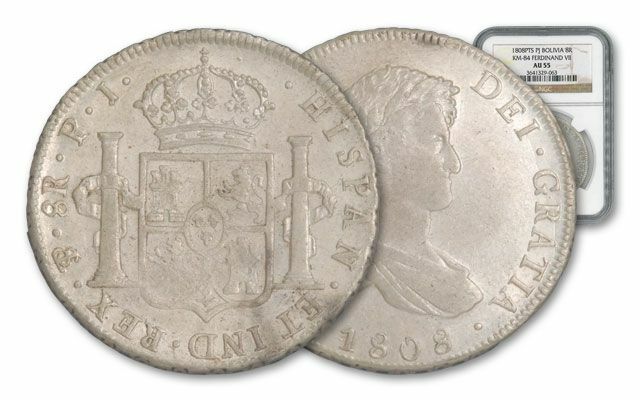 Because of the high silver content, many Spanish 8 Reales were later melted down to help produce U.S. trade dollars and even some Morgan dollars. We were recently offered a hoard of America's First Silver Dollars, 150 coins total, in graded NGC holders with grades of XF and AU. 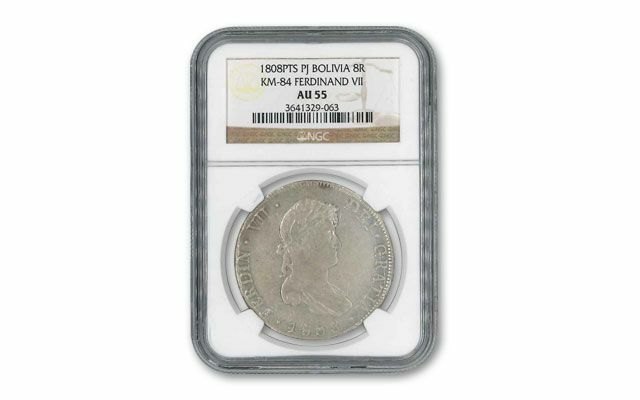 Legal tender in the U.S. until 1857, many 8 Reales have been melted making hoards even in this quantity rather scarce. Once these are gone, they are gone for good. The date range of these coins is 1774-1823 (XF). This guarantees that each coin is at least 190 years old! 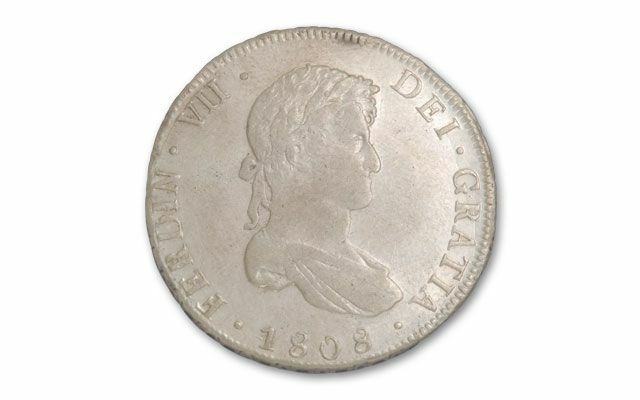 The obverse of this coin features the portrait of the Spanish King and the reverse features a shield and crown. Each coin is graded by Numismatic Guaranty Corporation (NGC) in About Uncirculated (AU) condition. NGC is one of the leading third-party coin grading services in the world. They put their stamp of approval on these coins as being genuine and authentic in every detail.